ONE LUCKY WINNER WILL GET AN IPAD! 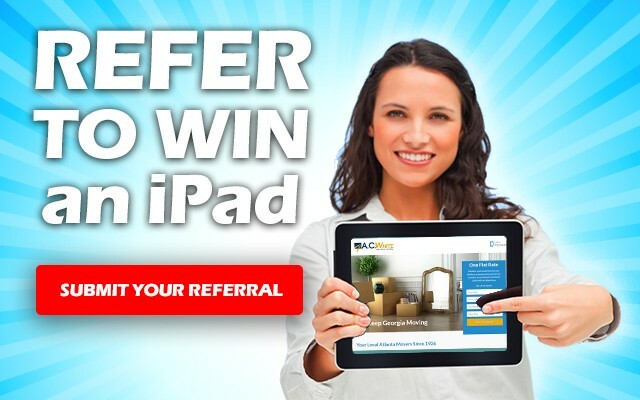 All you have to do is submit your client referrals to us by August 31st and you’ll be entered to win an iPad. The more clients you refer, the better your odds of winning! As the real estate market heats up this summer now is the time for homeowners to reserve moving and storage services. Honest and dependable with no hidden fees!